How Do I Create A Password Protected Page? 4) A box will drop-down asking you for the password you'd like to protect this page/post. 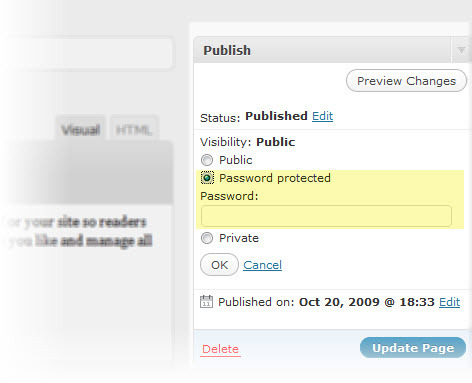 Now when a visitor accesses this page or blog post they will be asked to enter a password before viewing the page. Learn how to hide this password protected page from your site navigation, by using Custom Menu's to only show the pages you want visible.